PJ's Purple Palace: Looky what I got!!!! First of all let me say thank you to Suzi at the Knitters Tea Swap2. It was so much fun participating in this!!! My Secret Swap partner was Isobel, from Ireland! She really showered me with gifts too! 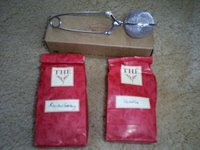 She sent me two bags of her favorite loose teas and a tea ball infuser!!!! 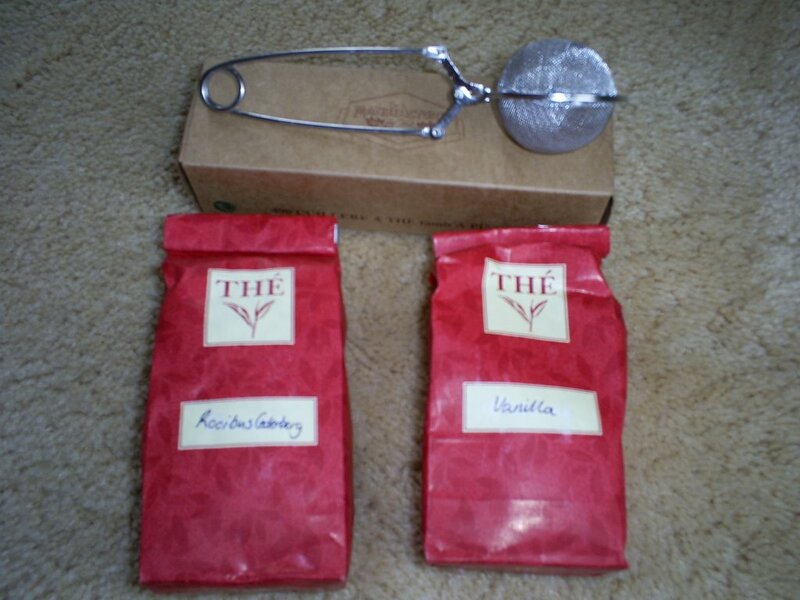 One tea is a Rooibus tea,which is a South African red bush tea. The other is a vanilla tea, yummy! I will savour the flavor of each one!!! 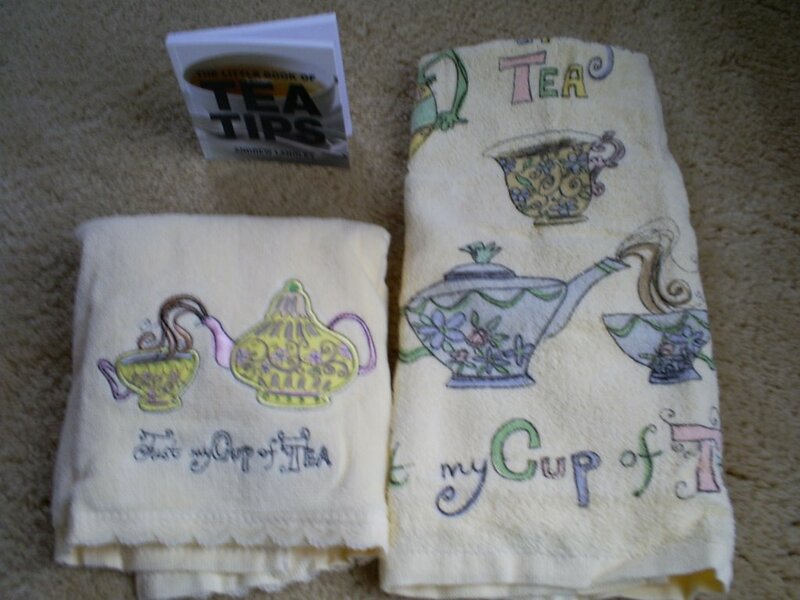 Here she gave me two adorable tea towels and a book called "Tea Tips" Aren't these adorable? Oh and look here is some beautiful yarn. 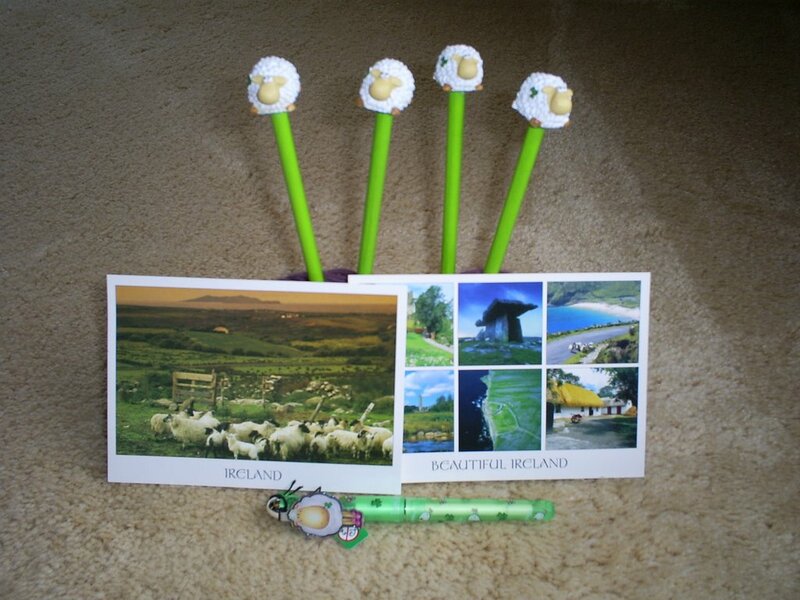 Some from an Irish spinner, and it has alpaca in it!!!! 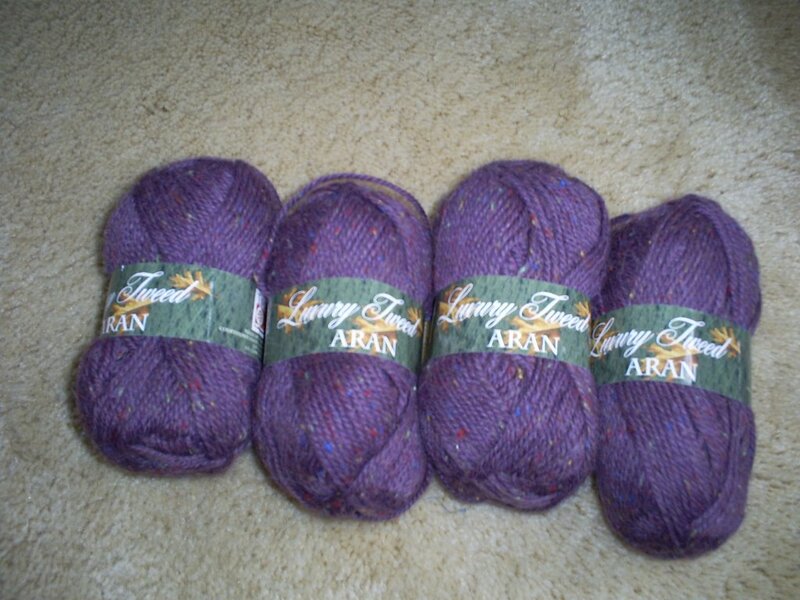 It is Aran Luxury Tweed. And the color is just luscious!!! It isn't as bright purple as it appears hee, it is more of a plum or mulberry with flecks of red, green, and blues in it ever so slight. Oh and here we have everyone's fav. 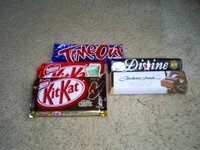 Chocolate!!! My kids were drooling over this. 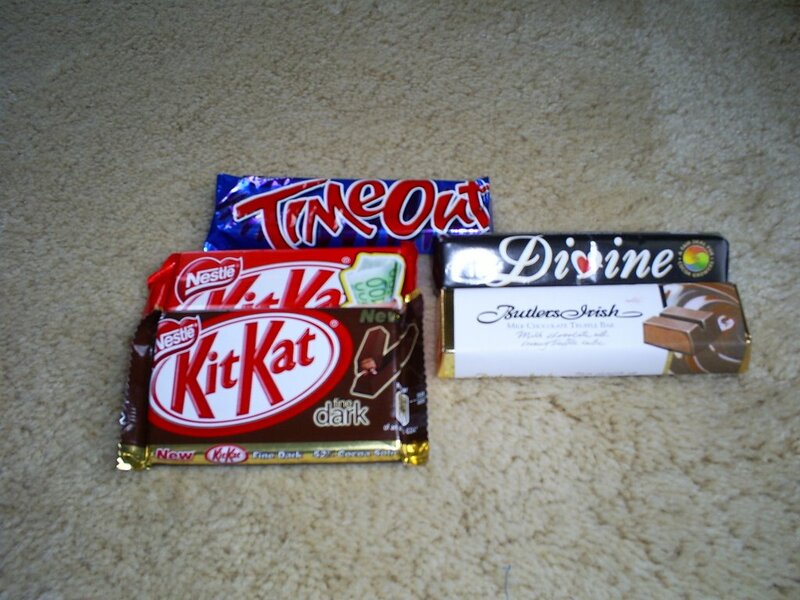 She sent her favs here and tells me that even though we can get the Kit Kat Bar in the US, these taste different. I cannot wait to try them!!! But wait that's not all!!!!!!! 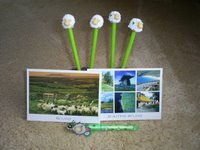 Then the sweet darling sent my kids each a green pencil with sheep on top. They were so tickle to get something!!!! So I'd say this swap was an awesome experience, and I plan on keeping in contact with Isobel.